Sign Up & Save with JuveTress First Time Customer Offer. JuveTress Revitalizing Hair Therapy is designed to help revitalize thinning, aging hair at the root level. This formula uses Redensyl® and can help you achieve hair that looks and feels thicker, fuller and more lustrous... for the youthful, healthy look you deserve! We take great pride in JuveTress. We use only the best ingredients, and we proudly keep all of our manufacturing and customer service in the United States. And we maintain the highest manufacturing standards in the industry. As such, all of our products come with an industry-leading 180-day money-back guarantee. You can return your order for any reason. We will gladly refund your money, no questions asked... because your complete satisfaction is our goal. JuveTress Revitalizing Hair Therapy utilizes Redensyl® in a unique formula designed to help you regain the appearance of thick, full, dense hair. By nourishing hair follicles with an advanced blend of micronutrients called polyphenols, this formula can help you achieve dramatically more youthful-looking hair, naturally. Redensyl®, a scientifically-advanced polyphenol blend, is made of green tea and European larchwood, and proven to give hair a dramatically thicker, fuller, denser look with regular use. 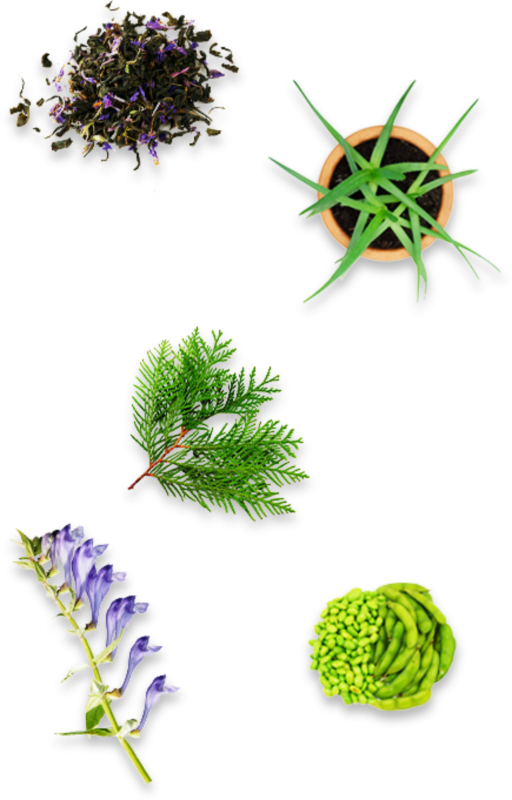 This ancient Chinese herb helps nourish hair follicles to protect hair against damage and maintain a full, youthful look over time. This advanced ingredient helps give hair an instantly healthier, more volumized appearance. Aloe Barbadensis Leaf Juice, Cetearyl Alcohol, Cetrimonium Chloride, Trideceth-6, Propoxtetramethyl Piperidinyl Dimethicone, C11-15 Pareth-7, Propanediol, Arginine, Lactic Acid, Glycine Soja (Soybean) Germ Extract, Triticum Vulgare (Wheat) Germ Extract, Scutellaria Baicalensis (Skullcap) Root Extract, Glycine (Amino Acid), Camellia Sinensis (Green Tea) Leaf Extract, Zinc Chloride, Larix Europaea (Larch) Wood Extract, Sodium Metabisulfite (Antioxidant), Glycerin, Behentrimonium Methosulfate, Cetrimonium Methosulfate, Quaternium 91, Polysorbate-20, Acetyl Tyrosine, Arctium Majus Root Extract, Calcium Pantothenate, Camellia Sinensis (Green Tea) Extract, Citrulline, Glucosamine HCl, Glycyrrhiza Glabra (Licorice) Root Extract, Hydrolyzed Soy Protein, Hydroxypropyl Guar, Mentha Arvensis, Niacinamide, Nigella Sativa Seed Extract, Ornithine HCl, Panax Ginseng Berry Extract, Panthenol, PEG-12 Dimethicone, Piper Nigrum (Pepper) Fruit Extract, Polysorbate 80, Procyanidin B2, Allantoin, Ricinus Communis (Castor) Seed Oil, Zinc Gluconate, Fragrance (Parfum), Caprylhydroxamic Acid, Ethylhexylglycerin, Rosmarinus Officinalis (Rosemary) Leaf Extract, Biotin, Caprylyl Glycol, Phenoxyethanol, Tetrasodium Glutamate Diacetate, Citric Acid. What makes JuveTress Revitalizing Hair Therapy unique? JuveTress Revitalizing Hair Therapy is designed to work with the hair follicles to give you the fuller-looking hair you want, naturally. By infusing hair follicles with revitalizing polyphenols, this formula can help you enjoy the renewed look and feel of thick, dense, healthy, youthful hair… naturally. MICROSIL® Volume — This “instant-action” ingredient helps you achieve increased volume and shine with every use. How do I use JuveTress Revitalizing Hair Therapy? 2. Gently massage the formula into your scalp to help activate its effective, follicle-boosting ingredients. Leave the product on and do not rinse. What if it doesn’t work for my hair? 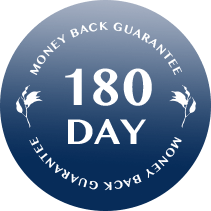 Like all JuveTress products, Revitalizing Hair Therapy is backed by our 180-Day Money-Back Guarantee. If for any reason you’re not stunned by your incredible results, we’ll gladly process a refund for you — even if it’s all used up — for a full refund of your purchase price. We’re willing to make this promise because we’re confident you’re going to LOVE what Revitalizing Hair Therapy can do for you! Oct 12 2018 My hair results because of your product! Sep 6 2018 Love the products!